We held the event in front of the Whole Foods Market in Little Rock. We wanted to take advantage of the foot traffic. 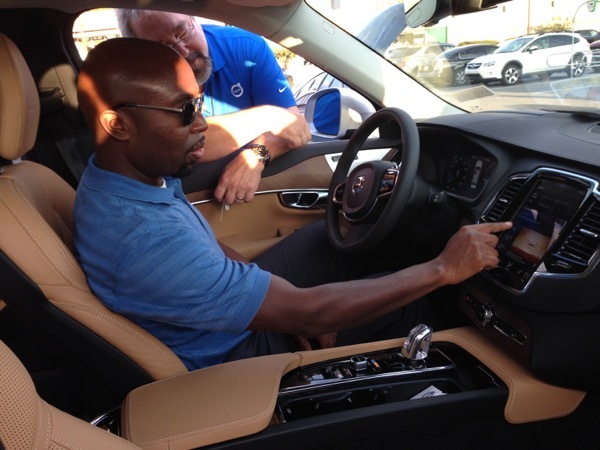 We had 3 dealerships participate: Nissan Leaf, Chevrolet Volt and Volvo XC90. In addition we had 16 current EV drivers show up with their vehicles to talk to the public about their experience driving electric. There were 6 Tesla, 1 Chevrolet Volt, 1 Ford Focus, and 8 Nissan Leaf owners present. We consider the event a success as we were able to talk to the dealerships about bidding to get their vehicles on the state contract for state government fleets. The Arkansas Clean Cities Coalition, in partnership with Whole Foods Market, will hold a ride and drive event in the Whole Foods Market parking lot on Friday, September 16, 2016, 5:30 - 7:30 pm. Local dealerships that offer all-electric and plug-in hybrid vehicles will be available for information and test drives. Also, local EV drivers will be on hand to talk about their experience driving electric!